In order for students to have automaticity with their math facts, they must first have good number sense. They need to be able to visualize numbers in different ways and see the relationship between the numbers. It's a skill that can be practiced all year by composing and decomposing numbers. 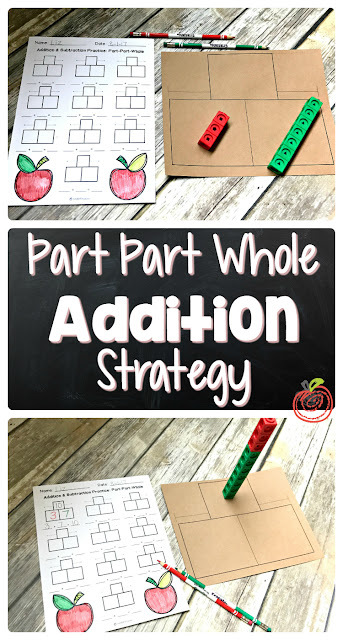 When kiddos can see number bonds and parts of a whole, they will master addition and subtraction facts effortlessly. This isn't a lesson or skill that is taught in a week or a month. 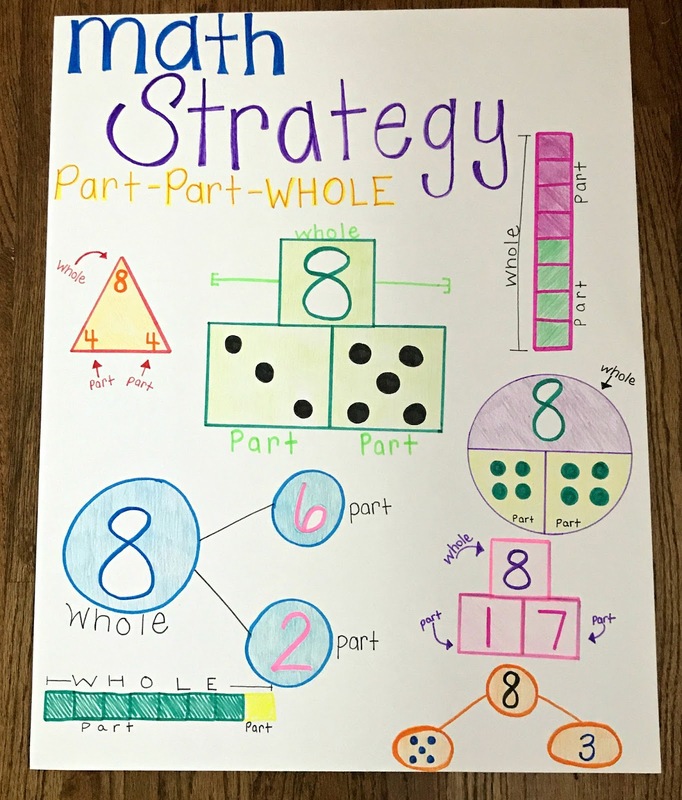 The strategies should be incorporated into the curriculum and practiced or spiral reviewed throughout the year, rather than in an isolated unit of instruction. 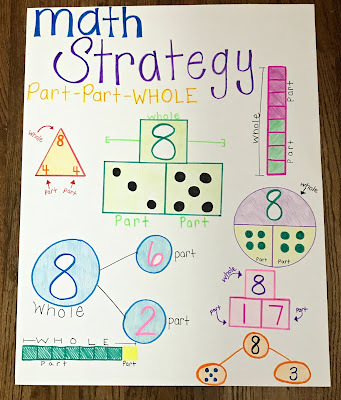 Creating an anchor chart for math strategies is a great visualize for students to reference. 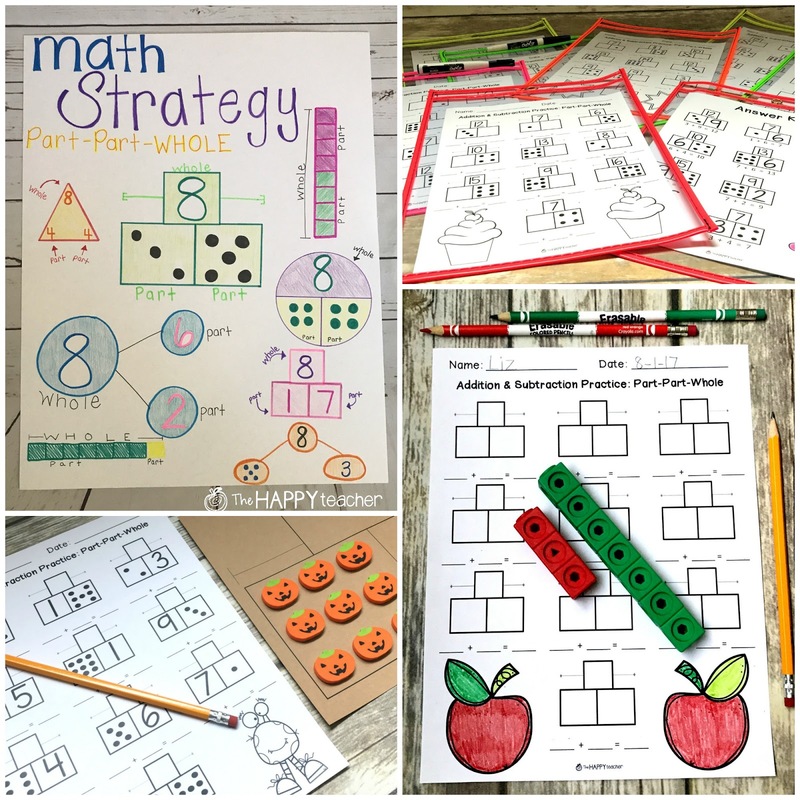 While students are working to gain fluency with their math facts, manipulatives should be readily available! 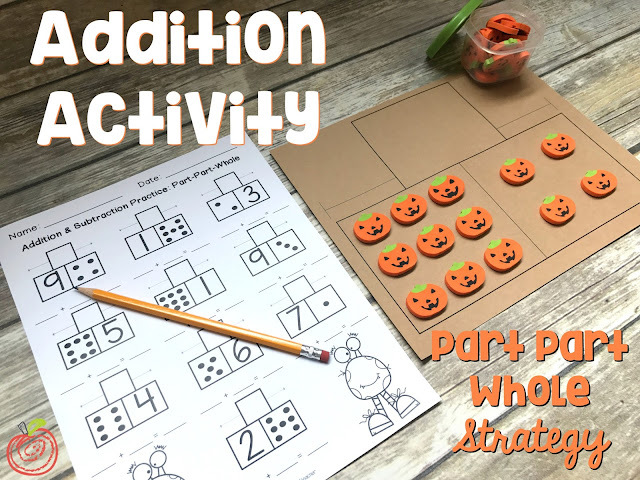 In this case, students are using the part part whole strategy with counters. Seasonal erasers or unifix cubes also work well. 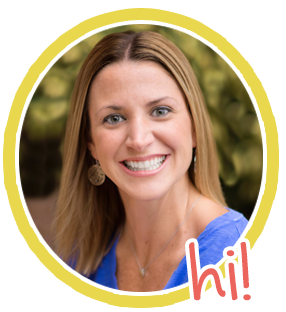 A great way to let students have continual practice with this skill is to let them "play teacher." 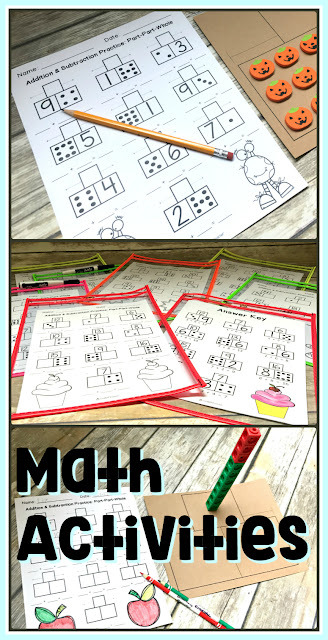 It is great for math centers, math workshop, or independent practice. Students use manipulatives and create their own math problems and answers. If you have a student that needs a little more direction, you can give the student a baggie of dominoes to use when creating his or her problems. Dominoes are set up like parts of a whole, so it will guide the child. 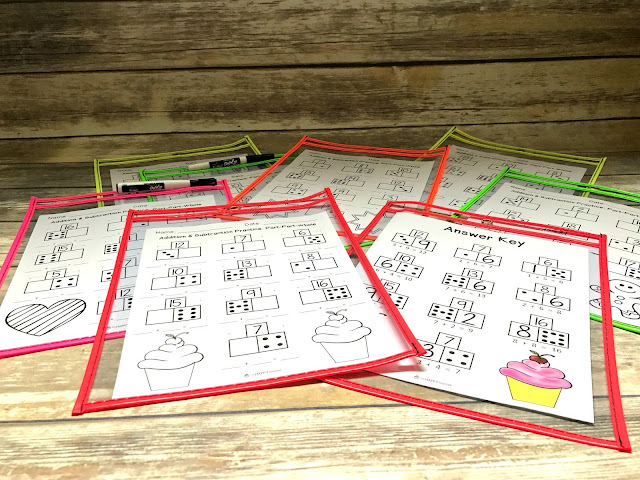 To save paper at math centers, you can slide pages inside of dry erase pockets. Students can self check with the answer key! 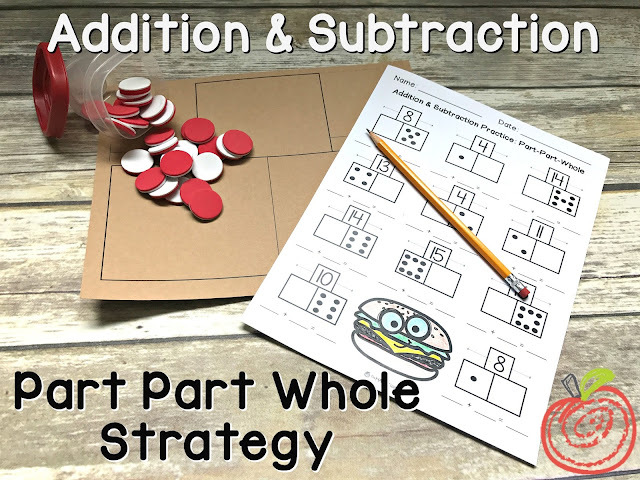 To download these addition and subtraction worksheets, visit my TpT store.